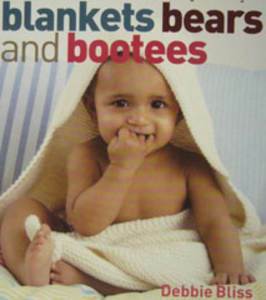 Knitting books for babies and children inc DK, 4 ply, aran, chunky and cotton sweaters, bootees, blankets, toys and more from top brands such as Sirdar, Bergere de France, Katia, King Cole, Rowan, Sublime, Wendy, Debbie Bliss and Patons. 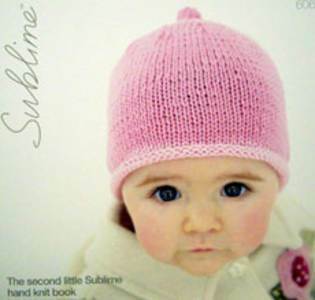 Some baby knitting books are specific to a yarn eg the Sublime Baby 4 ply hand knit books use Subime Baby Cashmere Mernino Silk 4 ply. 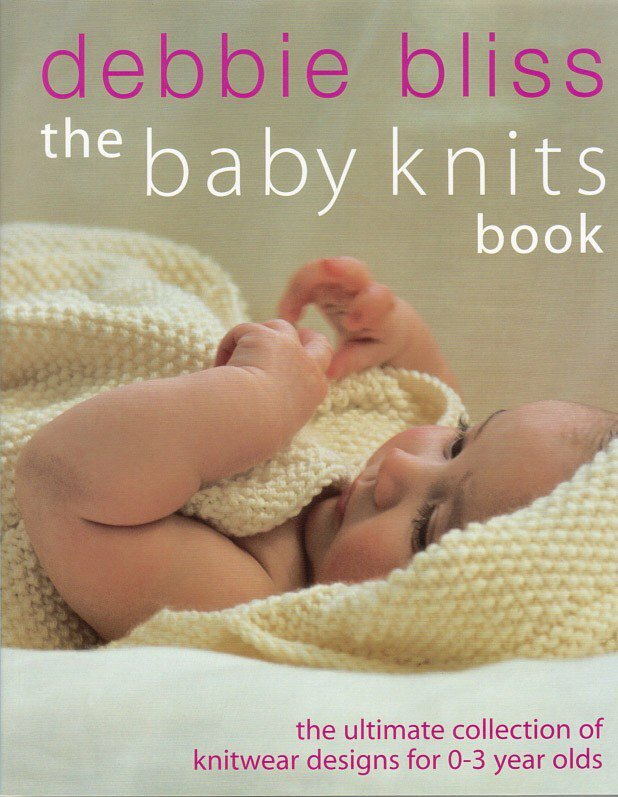 See (women and family knitting books) for more baby and children knitting books. 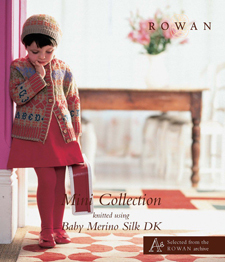 Rowan Mini Collection knitting book has a beautiful collection of 13 designs by Martin Story from the Rowan archive reworked in Baby Merino Silk DK for children aged ranging from 0 to 5 years with each showcasing the luxurious Rowan Baby Merino DK yarn. 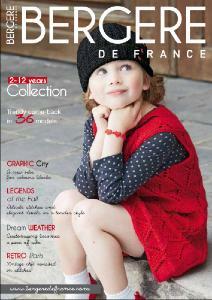 The designs range from bright and easy to wear casual knits to cosy hats and scarfs, sweaters and cardigans. Sublime 676. 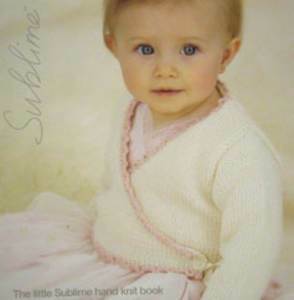 The Fifteenth Little Sublime Hand Knit Book with 13 designs for baby girls and boys from 0-3 years using Sublime Baby Cashmere Merino Silk DK. 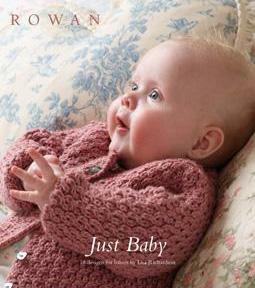 Sirdar 469, Baby Crofter 8 knit book with 15 hand knit designs for babies, girls & boys from birth to 7 years in Snuggly Baby Crofter DK, a beatifully soft yarn with a fair isle effect. 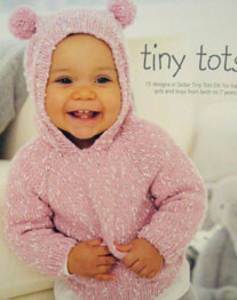 Features jackets, cardies, bonnets and sweaters and includes Sirdar pattern designs 4479 to 4484 inclusive . 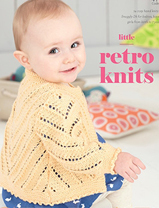 40 designs (mostly knitted, some crochet) for babies and children from 0-10yrs using a range of Bergere de France summer yarns, plus a useful illustrated guide to knitting and crochet. Size varies with design. 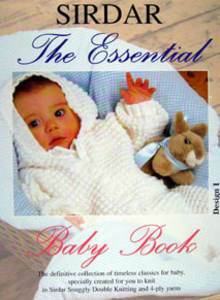 38 designs for babies and toddlers using a range of Bergere de France yarns, plus useful knitting and crochet technique guide. Size varies with design. 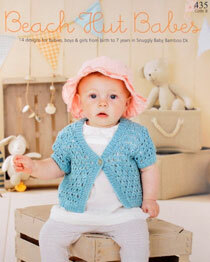 Simply Baby: 30 Special Handknits for Baby's First Two Years. Debbie Bliss 20 new designs including cardigans, sweaters and tops, blankets, and a gorgeous double breasted cashmere coat. 144 pages, paperback, colour illustrations throughout. 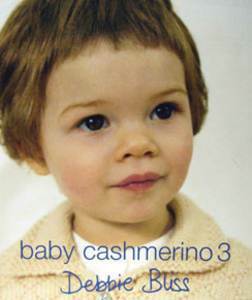 11 designs for babies and toddlers knitted in Baby Cashmerino inc entrelac shawl, hooded tops, matinee jacket, cabled jacket and bear. 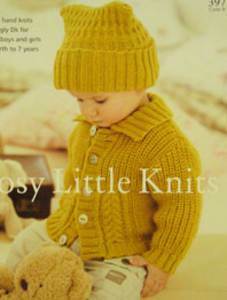 Collection of 12 outfits in DK and 4 ply yarns including cardigans, dress, bonnets, shawl, sweaters, jackets, hats, matinee coat, all in one, sleeping bag and blankets. 32 pages plus photos. 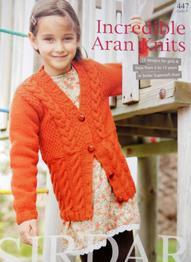 8 designs in aran yarn for children - ages vary depending on pattern, between 3 mths and 10yrs. 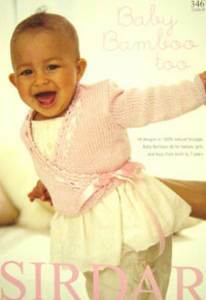 Includes cable slipover and sweaters, cardigans, easy poncho and accessories. 20 pages plus photos. 17 blankets and shawls ranging from the easiest garter stitch and fun fur designs to aran, and including a crochet shawl and blanket. 27 pages. 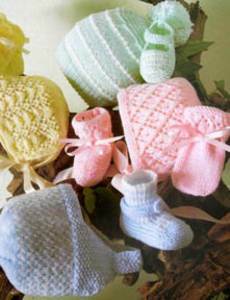 8 designs plus variations for boys and girls 0-7yrs, 41-66cm (16-26in), shown in Baby Bamboo DK. 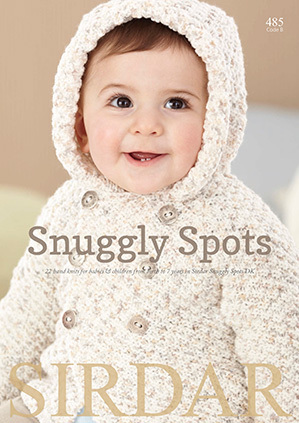 Includes textured cardigans and blanket, cable sweaters and jacket, hooded cardigan, lace trimmed sweater. 28 pages plus photos. 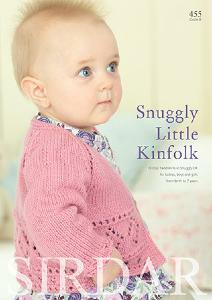 13 new designs from Sirdar for babies and children from 0 to 7yrs, in DK yarn showcasing the new pastel tweed colours in Snuggly. 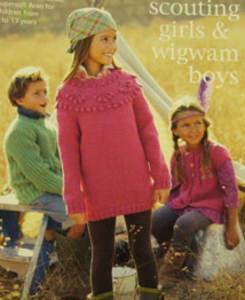 Includes cable waistcoat, slipover and jacket, lacy cardigans and blanket, textured shawl collar cardigan. 24 pages plus photos. 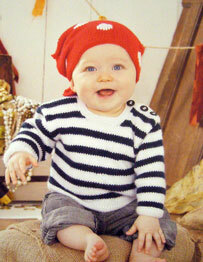 16 designs for babies and children 0-7yrs, 41-66cm (16-26in), showcasing Tiny Tots DK. 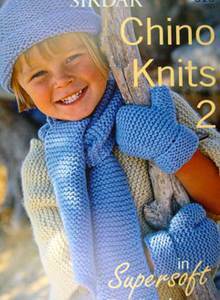 Includes patterns S1873 - S1878: cable cardigan and hat, blankets, shawl, collar cardigan with curved edge, simple slipover and sweater. 20 pages plus photos. 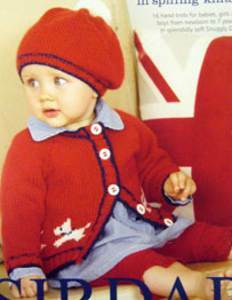 Little Brits in Spiffing Knits. 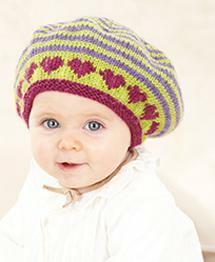 A collection of 16 designs for babies and children 0-7yrs, 41-66cm (16-26in), in Snuggly DK, in paintbox colours of red, blue and apple green. 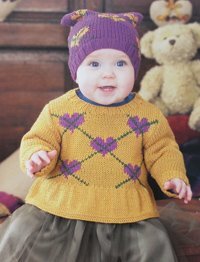 Great value - includes patterns S1894 -S1899, such as the scottie dog cardie, cable sweater and hat, plus cable blanket, and the cutest daisy shoes. 32 pages plus photos. 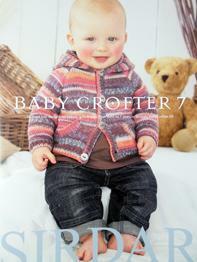 19 designs for babies and children 0-7yrs, 41-66cm (16-26in), showcasing Sirdar Baby Crofter self patterning fair isle effect DK yarn. 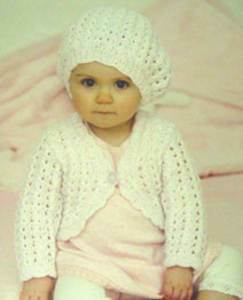 Includes ballet top, easy blanket, waistcoat, hooded jacket and hats. 24 pages plus photos. 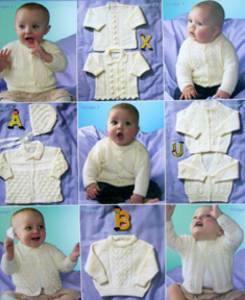 15 designs for babies and children 0-7yrs, 41-66cm (16-26in), showcasing Tiny Tots DK. 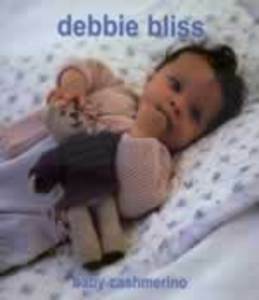 Includes patterns S1982 - S1987. 20 pages plus photos. 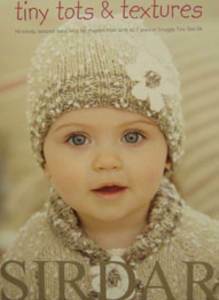 13 designs for babies and children 0-7yrs, 41-66cm (16-26in), in Baby Bamboo DK. 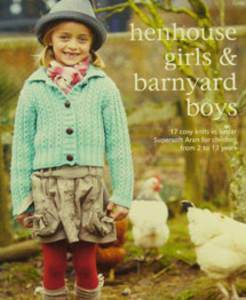 Includes patterns S1214- S1219. 20 pages plus photos. 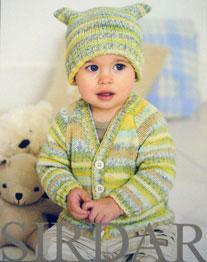 18 designs for babies and children 0-7yrs, 41-66cm (16-26in), shown in Sirdar Snuggly DK yarn. 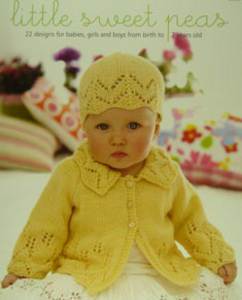 Includes patterns S1236 - S1242, with cable sweaters, stripy cardigans, bobble and cable flower jacket, lacy bolero and hats. 28 pages plus photos. 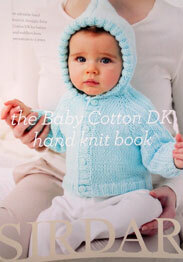 14 designs for babies and children 0-7yrs in Sirdar Snuggly Baby Crofter DK. 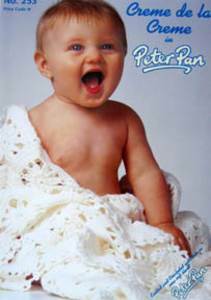 Includes designs 1252-1257. 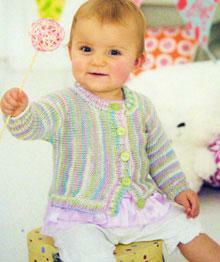 13 designs for babies and children 0-7yrs showcasing bamboo blend Sirdar Snuggly Smiley Stripes DK. 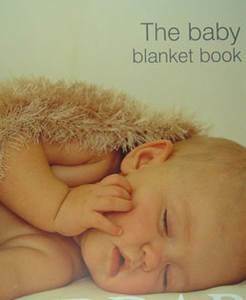 Includes designs 1258-1263. 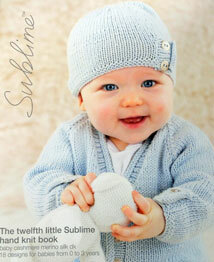 14 designs for babies and children from birth to 7yrs showcasing Sirdar Snuggly Baby Bamboo DK. 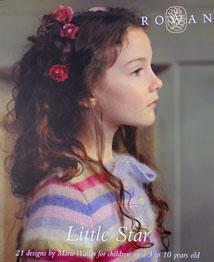 Includes striped hoodie, cable cardies, ballet top, lace cardigan, wavy st blanket. 20 pages plus photos. 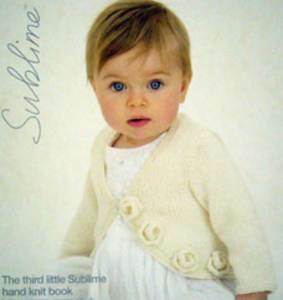 Simply Gorgeous Sirdar 454 knitting book with 18 designs for boys and girls 0-7 years, all shown in Sirdar Snuggly Baby Bamboo DK. 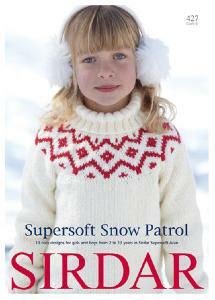 Includes Sirdar patterns 4428 to 4435. 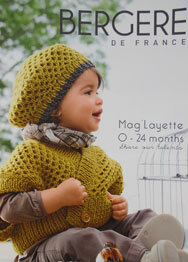 Booklet with 3 sets of accessories - bonnets, mitts and bootees, in DK 4ply and 3ply. Birth to 18mths.